One of the best ways to keep up with what’s happening in the development landscape (well, anything really), is by listening to podcasts. There are a multitude of coding podcasts out there. While most have excellent content, many fail on delivery. At the end of each workshop that I run, one of the final slides the students get is a list of code related podcasts that I regularly listen to. The list changes fairly often, so I thought I’d start documenting it here too. 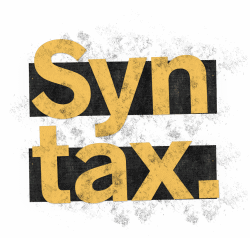 A relative newcomer to the scene, Syntax has quickly shot up to be my favourite coding podcast. Some excellent topics covered, and yes, beginners definitely have a place here. From relative basics like Rems vs Ems, all the way up to nitty gritty on topics such as GraphQL and Node. 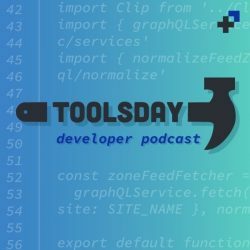 Toolsday is a 20-ish-minute podcast hosted by Una Kravets & Chris Dhanaraj. It’s a great (sometimes hilarious), quick guide to the “latest in tech tools, tips, and tricks on Tuesdays at 2”. Give it a listen. 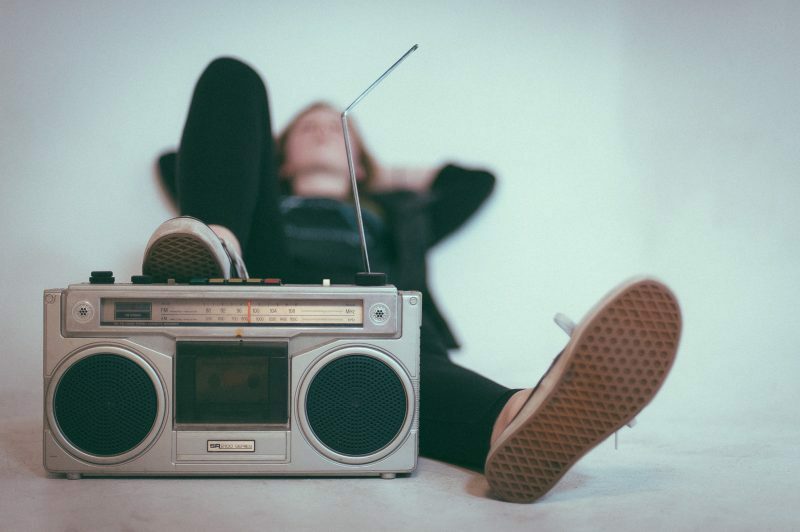 Una opens each podcast with a reworked version of a popular song, changing the lyrics to be about whatever topic is being covered that episode. I always thought the intros must have been well prepared and rehearsed. Not so. I had the pleasure of meeting Una at SmashingConf in Barcelona last year, and she straight up sang me a verse of “Under Pressure” where the lyrics were all about the conference we were at. I have a video of it that Una made me promise not to post, so I won’t. 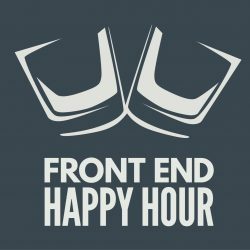 This is a podcast presented by a bunch of Lead Front End Devs from companies like Netflix, Microsoft, Evernote and Atlassian. With that sort of pedigree, they know what they’re on about. Things like work culture, diversity, imposter syndrome and burnout. The stuff that rarely gets much attention until it’s too late. 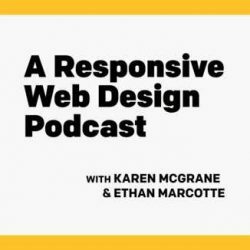 A Responsive Web Design Podcast is hosted by Karen McGrane and Ethan Marcotte. In each episode, Karen and Ethan interview the people who make responsive redesigns happen. Ethan and Karen recently (March 2018) wrapped up the podcast after many years and many great interviews. Some fairly interesting stuff in this one, and well worth getting into even though no new episodes are being made. Not unlike Syntax, Shoptalk can appeal to the novice and the professional. A wide range of interesting topics covered. Chris can be annoying and Dave is hilarious. But that’s just my opinion.